Acrimony and unease grip America’s global stability community as President Trump signaled his intent to extract the last remaining US advisors from eastern Syria. With his power as Commander in Chief, the President informed the entire diplomatic, military and intelligence arms of the US government that the end game point in the battle against ISIS for the United States has been reached. The outcry was immediate and vociferous including the resignations of Defense Secretary James Mattis and US Envoy in the fight against ISIS Brett McGurk in protest, their advice to maintain a long-term US presence in the region having been rejected. The US mainstream media, in an odd twist, went into a rare moment of introspective journalism asking if this meant the beginning of the end of Americas “endless wars”. Elsewhere in the world, recrimination by French President Emmanuel Macron over the Trump’s decision included accusing the US of being an unreliable ally; for the record, Syria is a former French colony. 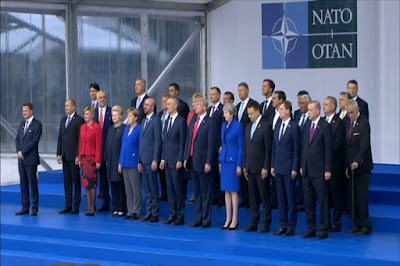 The concern was echoed in the rest of the European Union with nations there asking if the EU needs to purse a global force projection agenda independent of United States leadership. Forces of Turkish President Recep Tayyip Erdogan began massing across from Kurdish held territory in Northern Syria clearly anticipating with relish the prospect that US is about to throw them under the bus. But is Trump’s move reckless? Or does the president see trends in the world that he sees vital to the fate of a nation to step up to? Let’s look at the hand of cards he has. The endgame of ISIS in Syria and Iraq is near. The philosophical threat of ISIS, the desire for an independent Islamic Caliphate, has receded into a nightmare for its supporters being ruthlessly hunted by everyone, ally and adversary. What is emerging now is a matrix of regional power players over which the US has a very weak hand in influencing directly. Syria is a playing field where the Russians, Turks and Iranians are going to sort it out at the expense of the indigenous natives including the Syrians and the Kurds; yeah same song, different stage. Who gets to be the next Armenians? Just saying. Leverage in the Middle East going forward can only come from two things. One, is convincing the Russians that they don’t have to be there; that there are more important things to deal with like getting their tiny $1.3 Trillion GDP up and that 80 of 85 districts insolvent problem of theirs under control before they crater internally. Second is diffusing the potential larger war in the Middle East between nuclear armed factions possessing intermediate range delivery weapon systems. Meddling in Syria going forward by the US would make headway in these two areas of US national interest impossible. The price? The natives. The Syrians. The Kurds. The Iraqis. The Afghans. The legacy of the 400,000 people who died because the United States naively believed we had the power to deliver them from evil. We got lucky in Grenada. Lucky in Bosnia. Lucky in Kuwait. We bit off more than we realized in Afghanistan and Iraq. I can understand why James Mattis, who lost brave men and women under his command, and Brett McGurk, who forged deep friendship and trust with the natives in the fight against ISIS, would be deeply hurt by this turn of events. They fear for the next 400,000 people who will die in the coming decade if this new game doesn’t work. And they are right to be fearful. The Fertile Crescent, the former Garden of Eden, has been a layer of Dante’s Inferno for a very long time. Personally, I’m not sure their leaving in protest at this time will help delay the onset of the deaths of the next half million. I’d have stayed to try to save the humans I could while this new strategy found its footing. I will note that Donald Trump is not the first US President to attempt to end an “endless war” scenario. In the 20th Century, President Richard Nixon did the same over another former French colony painfully trading America’s national prestige for eventual regional stability. Then the Bush-Clinton-Bush era made us bold because we took on the mantle of being the world’s policeman; the defender of universal human rights. The planet gladly let us while selfishly turning the surface of the earth into collection of locales where human rights are far from universal. We spent treasure and blood in a quest that was always going to reach a limit point; just like every crusade before it. 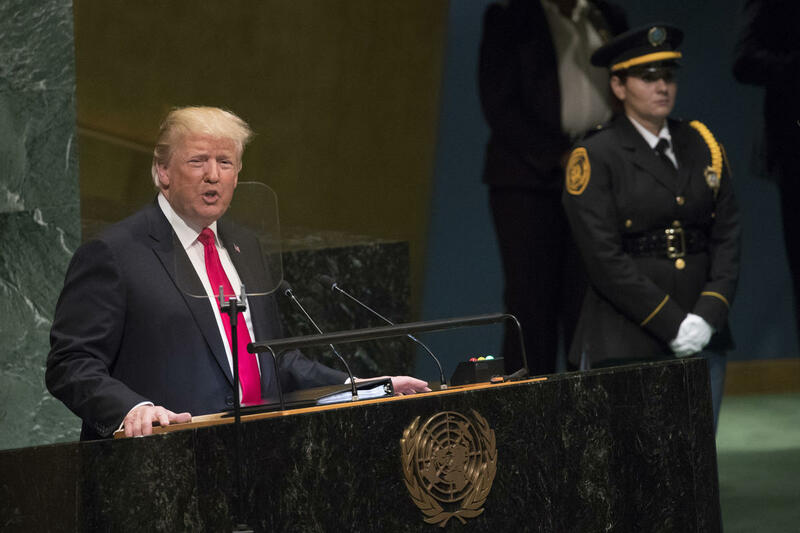 In the 21st Century, Donald Trump’s predecessor Barack Obama repositioned the United States to be a supporting character in world affairs as opposed to the prime mover of outcome agendas. With such a weak hand, the US must now find a path to world peace. What does that mean? Could this be local politics in Central America gone viral on the world stage because of the internet? It's certainly not the first bizarre consequence effect we've seen happen. Or, it may be simple economics in action. It costs an average of $7,000 USD to pay a coyote to smuggle a person to the United States. A caravan with “assistance” reduces that cost per traveler considerably … and potentially upsets the human trafficking economies extending from Central America to the United States. Think about the implications of that one buckwheat. Meditate on this more I shall. Childish Border Wars; Wrong Border? US immigration policy has had a rough time of it lately. On January 30, 2018, President Donald Trump asked Congress to pass comprehensive reforms on immigration trying to end an arduous era of border policy by executive order that began long before his administration. So far, no joy as Mr. Trump faces bi-partisan opposition in the Legislative Branch seemingly more incentivized to kick the can down the road so as to preserve the immigration issue as a talking point for electoral politics. This has forced the Executive Branch to go back to effecting border policy via Executive Order; and oddly, put @realdonaldtrump, as the President is known on Twitter, in the same less than desirable muddling box as his predecessor Barack Obama. Mr. Trump and Mr. Obama both share episodes of dealing with families arriving on the US border seeking asylum. Mr. Obama’s problems occurred in 2014 when a wave of people fleeing turmoil in Central America reached the US border after traveling through Mexico. The event overwhelmed the US Department of Homeland Security (DHS) Customs and Border Protection (CBP) and Immigration and Customs Enforcement (ICE) Services as well as the those of the US Department of Health and Human Services (DHHS). The result was a rash of family detentions triggering the issue of child separations that Mr. Obama’s administration, also getting little help from Congress, coped with via Executive Order as it sorted out who could stay in the US and who had to return to their countries of origin. In Obama’s case, after trying to separate children and failing, and unable to detain entire families while their cases were pending, the federal government ultimately decided to use a form of electronic hostage taking as part of its enforcement strategy. Obama instructed the federal apparatus to place ankle tracking bracelets on the legs of the mothers, a direct threat to the central figure of these family units. 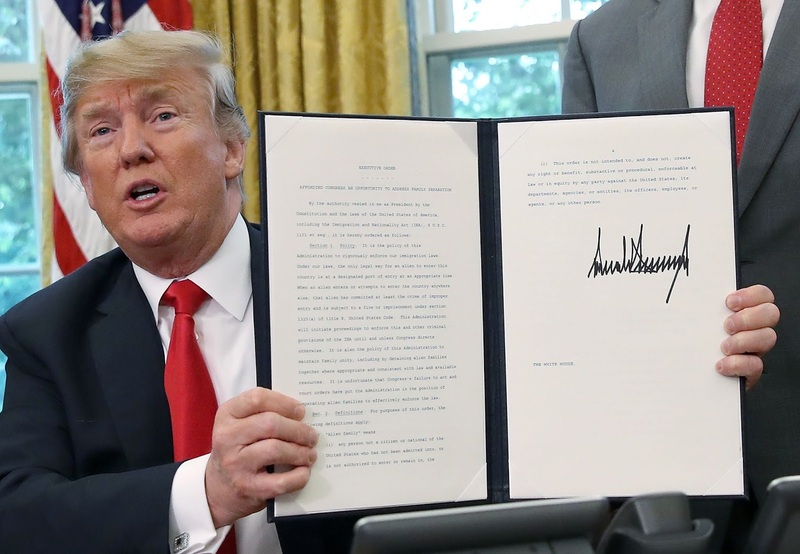 In 2018, the US formally changed the authorized ceiling of the number of refugees allowed into the country radically cutting the figure. This recognizes a policy change that began with the new administration that shifted US protocol from attempting to fill quotas to the maximum each year to one of practicing a higher-degree of scrutiny in who qualifies for the US refugee program. It is important to note that this pattern of “extreme vetting” has manifested in other ways including Trump’s day one ban on entry by persons from certain at-risk nations know to be sources of radicalized terrorism; a national security policy that was also pursued with less success by Trump’s predecessor Obama. In case you haven’t figured it out yet, presidents are, in the end, caretakers of national interests that precede and survive their tenures. 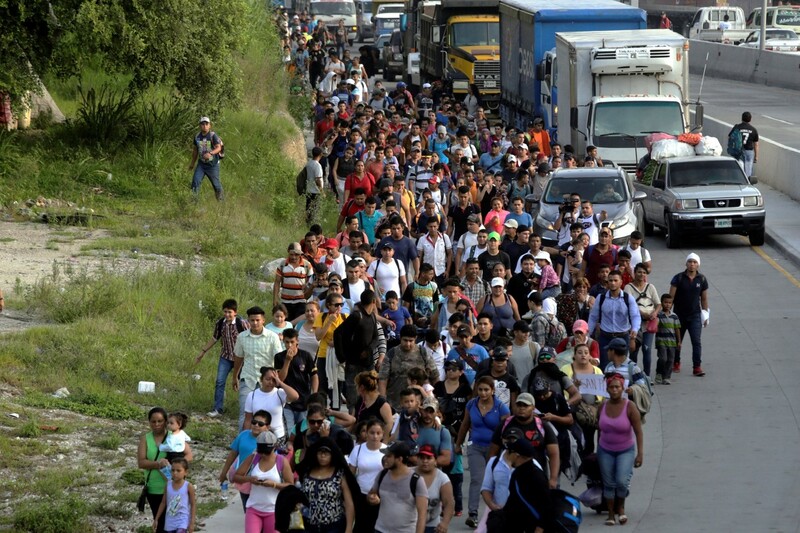 2014 70,000 69,987 Wave of Central American refugees. Mr. Trump’s administration now faces a new recourse dilemma triggered by a toughening of US policy in the direction of “enhanced scrutiny”, or using media’s adopted the hyperbole term from school politics, “zero tolerance” policies on the border. In Mr. Trump’s case, the shift in policy has run into same double-edged sword that beset his predecessor. The problem is triggered by a mismatch in timing in how US law works. The US Immigration and Nationality Act (I.N.A.) § 208(d)(5) states that asylum interviews should take place within 45 days after the date the application is filed, typically the day a person presents themselves to US authorities, and a decision should be made on the asylum application within 180 days after the date the application is filed, unless there are exceptional circumstances. The stress on the system today, as it was in Obamas time, is that there’s a Judicial Branch court order that impinges upon the I.N.A. timeline. It starts in 1985 when the daughter of actor Ed Asner’s housekeeper was detained by the then US Immigration and Naturalization Service (INS). Her name was Jenny Flores. Jenny’s father had been killed in El Salvador and she was attempting to join her mother in the US, an illegal immigrant worker in the employ of Mr. Asner. The case exposed a problem of long term indeterminate detentions of minors in inadequate facilities within the INS system. 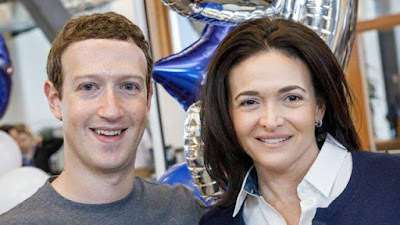 Initially adjudicated in 1987 during the Reagan Administration, it wound up a decade later in 1997 at the US Supreme Court where the Clinton Administration agreed to a settlement, the Flores Settlement, that would have far reaching implications. The Flores Settlement bars the detention of minors for more than 20 days and requires that children be held in facilities licensed as state-approved daycare centers, barring special circumstances. This mismatch of timing caused Mr. Obama to take mothers as hostages because he could not get the courts to budge and is now causing Mr. Trump to pursue political lighting rod changes to US law. As part of the Executive Order to detain families together, US Attorney General Jeff Sessions is once again asking the US courts to adjustment the Flores Settlement. Mr. Trump is trying to avoid Mr. Obama’s jewelry solution; but he’s got to go through the US 9th District Circuit, one of the most activist in the country. My guess is it won’t end well. That’s not the problem. This is! We are dealing with these people on the wrong border. The international law on asylum is that the asylum seeker is supposed to present themselves to the authorities of the first international border they reach upon fleeing their countries. For Central Americans, that country is Mexico; specifically, the southern border of Mexico. The way it is supposed to work, that country, with aid from the international community, is supposed to set up refugee camps. It is from these camps, that other organizations such as the US Office for Refugee Resettlement are supposed to process persons to qualify them for movement from the camps to a third host nation. If this were the Middle East, the analogy would be people in Iraq and Syria fleeing ISIS going to U.N. camps in Jordan. I do not understand why the US is not insisting that these conventions be followed. This is not a money issue. The US is a rich enough nation that we have the money to support such refugee camps unilaterally; heck, we pay for most of them around the world as it is. They are a good idea given that other Central and South American countries teeter on the edge of collapse of the kind that can and will lead to mass exodus. One would think that the U.N. Commission on Human Rights would be all over this. BUT NO! Ok, so the U.N. are a bunch of useless puds as Secretary of State Mike Pompeo and US Ambassador to the United Nations Nikki Haley are quick to explain. Well fine then. 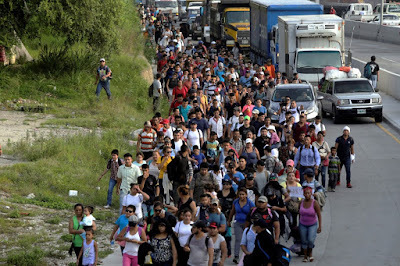 To heck with the U.N., there’s the option of solving this as an Organization of American States (OAS) issue where, again, the North American economies can well afford to implement asylum infrastructure in the Western Hemisphere without needing help from the rest of the planet thank you very much.. Why is this not a top of mind conversation? Why is this not part of the media narrative? Why isn't this what gets asked about on in Congressional hearings? Personally, I’d advice President Trump to go all out on Mexico using trade and tariff leverage while offering the carrot of relief if Mexico cooperates in doing its part to set up proper refugee infrastructure to make the Organization of American States Great Again … so to speak. 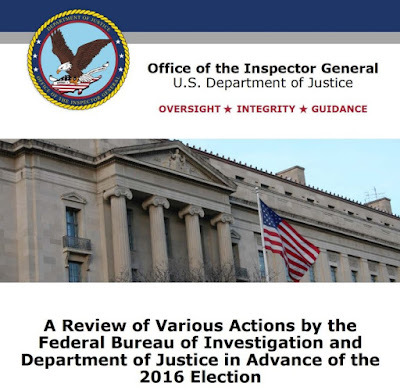 The Inspector General’s Report finally arrived. The long-awaited proof of the powerful conspiracy to whitewash the “gross negligence” of Hillary Clinton. On first pass, it’s a bit of an anticlimax play that speaks so much about the frailty of man in the face of power as Thomas Jefferson used to put it. Dramatically, the saddest part in the 528-page report is a direct action by a Clinton. Specifically, former President Willian Jefferson Clinton, imposing himself in a meeting with Attorney General Loretta Lynch on the tarmac in Phoenix. The meeting “went on and on” saying nothing. 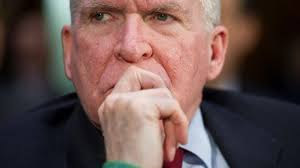 It created discomfort to the point that Lynch sought the advice of the ethics counsel and ultimately steeled herself to accept whatever the FBI recommended be done about Mrs. Clinton. The reading between the lines is clear. This chapter of the report is a love poem. It’s a story about a man who knows the woman he loves has done something terribly wrong begging for mercy; how the mighty do have feet of clay. But it’s also clear in this report that the double standard of behavior for public figures is a chasm from the public's. 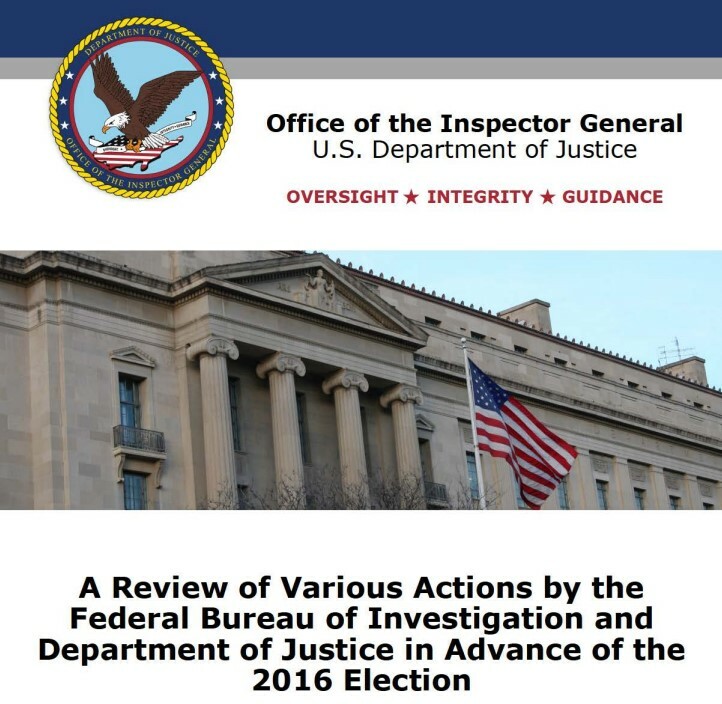 The IG’s report’s preamble goes to great pains to says it avoids second guessing the course and outcome of the Clinton email investigation. It mentions, but does not opine, on the pattern of mitigation of interpretation of US law that ultimately not only resulted in a declination to recommend prosecution but the removal of language in describing the offense that would have argued strongly in the opposite direction. My fairness opinion on this after reading the applicable law is that someone should have gone to jail for violating 28 CFR 793(f), the "gross negligence" provision. That public figures get a pass on actions that would send ordinary Americans to federal prison is a cancer that begs introspection. The eye of this storm in this report was James Comey. He is the central actor in the play. The one who’s choices caused everything else to pivot around. The IG report is not wishy washy at all about its conclusion that Comey screwed the pooch twice by acting out of school when he should have followed procedure. Both times he committed failures of hubris speaking out of turn and bypassing chain of command. The IG is correct in counseling that he should have gone by the book and let the external realities of the case wreak whatever havoc they should have. The bottom line lesson for the future is that it’s better to let legitimate scandals happen than create artificial ones inside your own head. It undermines trust and is an example of elitism in DC at its worst. Sadly, it’s also petty. If Comey had trusted in the design of how government and law are supposed to work in this country, much of this would have been different. In theatric translation, where Loretta turned a deaf ear to Bill, Jim gave Hillary his heart. Jim chose poorly. As a result of Comey’s choices, the FBI was reduced to mediocrity, not by bad personnel, but by aimless purpose. That the IG found so many actions questionable and unconvincing should be no surprise; when you don't have equal protection under the law, clarity turns to mud. Governance and law give way to politics and gossip; an entire country takes a ride on a roller coaster it didn’t have to. And here we are still in denial that 28 CFR 793(f) needs to be enforced. As to the many supporting actors, Washington D.C. is a town of dangerous political diversity. It remains best navigated with bourbon and cigars. There's nothing wrong with this. The system is designed to operate well as long as the wall between private like and professional conduct is maintained. Most people do so in the Beltway even as they enjoy the salacious aspects of capitol culture. That players will falter here and there is normal. Catching and counseling them is normal too. I did not really see that there was much more than common garden variety human frailty at work here. Lovers get careless and mix play with their work. That doesn’t make them bad people. Gossip worthy yes; but not enemies of the state. The system has the capacity to tolerate such humanity and keep working as long as leadership insists on professionalism in official activity. The lessons documented in this part of the IG report applies beyond just the FBI. The IG is right to call for tighten up the ship. Sound general quarters. It’s time for drills. 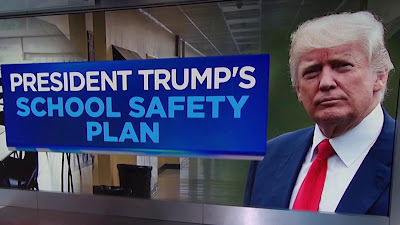 In March 2018, following a shooting incident in Parkland, Florida, President Donald Trump formed the cabinet level Federal Commission on School Safety charged with coming up with a range of recommendations to improve school safety. Chaired by Secretary of Education Betsy DeVos, the commission also includes Attorney General Jeff Sessions, Health and Human Services Secretary Alex Azar, and Homeland Security Secretary Kirstjen Nielsen. The commission has formally met once and is to deliver a set of proposals to the President by the end of the year. As the commission does its work, constituencies of every kind seek to influence it. From Congress and its lobbyists through the grass roots of Americans, people hope the answers that soothe them the most will be the ones that prevail in the final recommendations. I’m not so sanguine about finding better tomorrows within knee jerk responses. I believe that the Commission will not truly have done its work unless it fully deconstructs the pieces of how America got here, identifies the operative errors we made to our cultural norms, and explains the root causes and solutions to the American people. Anything short of that is a placebo. In the 1990’s, I remember having a poignant conversation with James Q. Wilson, then a professor at my alma mater, the Anderson Graduate School of Management at UCLA. Jim was a world class intellectual able to see out of the box on strategic, cultural and law enforcement matters. I met him first as a teacher. 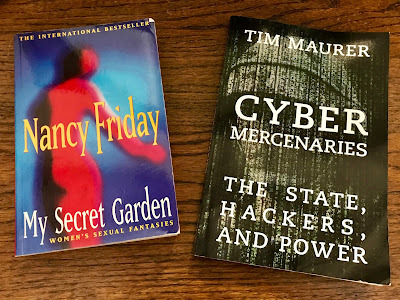 It turned out he and I shared a common past in strategic nuclear warfare and would find additional common paths to walk in the realm of developing theories about community policing. In both cases, he was the academic and I was the practitioner. He analyzed with words, I analyzed with computer code. Both paths led to deeper understandings about the insides of Pandora’s Boxes. This conversation was about the phenomenon of political correctness. The rise of political correctness or PC as it was referred to then has roots deep in the Ivory Towers of social engineering. It was a product of arrogant elitism by people who believed they knew better than ordinary people. They had identified American Culture itself as the impediment to their dreams; that lack of cultural cadence that infuriated deeply felt existential and Marxist beliefs that find so much nurture in the safe spaces of tenured academia. They correctly recognized that the only way to defeat that enemy was to asymmetrically attack this culture. Thus, the strategy of deconstruction of language and meaning began, innocuously at first; but growing in rigidity over time. I remember the key word of the entire thing. The term “shouldn’t” became “mustn’t”. The attack vector to spread this cultural breakdown and remaking of America was obvious, the unprotected and vulnerable educational system. Wilson was always quick to point out that this was exactly how you created “systemic risks”. He was fond of saying whatever we teach today will be the social crisis a quarter century from now. From the mid-1990’s, it’s now been over 25 years. Some perspective about the sheer power of asymmetric effect of education on US society is in order here. Where the US military indoctrinates 3% of the US population in to a culture of service, the school system indoctrinates 100% of America’s children. In the decades since PC emerged, the schools have turned the concept of “mustn’t” into Orwellian zero tolerance. The deconstruction of American culture where tradition is vile and conventional values are evil have become pervasive. A student or teacher who believes outside the sanctioned thought lives an insular existence in a hostile workplace at best, is a bullied outcast at worst. Expression is punishable, both socially and academically. Values and norms, even those perfectly acceptable off campus, must be left at the gate by children who’s mental development knows nothing of the abstract post-doctoral concepts being forced upon them; it’s like using a sledgehammer to crack walnuts open, you destroy things in the process. They are too young to know that within a setting that purports to be a haven for their bodies and minds, they are in fact, closer to being like political prisoners or hostages in much the same sense that conquerors throughout history have sought to wipe out cultures. These children are too innocent to see that their families’ values, the things that make them happy, the things that make them unique, are the system’s enemy. As that conversation in the 1990’s asked, “What happens when that school systems sees the America outside the Ivory Bubble as the enemy at the gate? How does that affect those young minds to be told that their parents are bad people because they think differently? That ideas are evil." Well of course it makes the children uncomfortable; they have real feelings and understand rejection. And statistically, when you deliberately make impressionable people uncomfortable, some of them will get angry, and some of them will lash out. This doesn’t just happen in schools; it happens in work places, it happens in the streets. It happens because someone who thought they knew better pushed the most vulnerable outcasts into the desperate corners of their minds; and probably fueled that angst with psychotropic medications. It’s wrong. I respectfully suggest that, in our bullish brashness, we may have inadvertently made the perfect storm for school shootings. We created a systemic risk to America that’s become a perfect laboratory where we take lost children, so far mostly boys, who are vulnerable to stress and push them over the edge. Their needs often neglected at home, we set up the system to neglect their needs at school; indeed, we set up the system to reject the validity of their existences. And it gets worse. 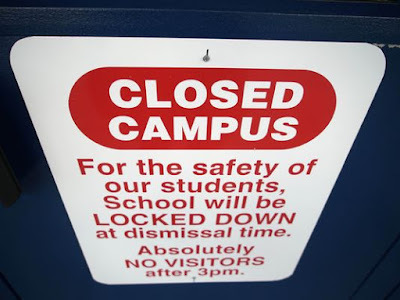 As parents who can afford to pull their children out of public schools to put them either into private schools or home schooling, the concentration of distressed youths per capita in the remaining zero tolerance environment gets even higher. And these unwanted young people become valuable economic commodities on campuses because the public education system in this country gets paid by the body. This means we exacerbate the problem year by year essentially condemning those who cannot escape financially to the full force of zero’er tolerance; think of it as the quantitative easing of young impressionable minds. The dissonant cultures of outcast America are forced to collide within the walls of the educational keep, every rejection and pain filled day. And we wonder why kids snap? Let’s admit something to ourselves. We are bullying our children to make theoretical elitism feel good. Somewhere in all of this we must remember that the American school system’s civic mission is to not to train future social justice warriors, it is to prepare children to become good, tolerant Americans. There's a critical thinking case to be looked into as to whether all of the elite social theories we have used our own children as guinea pigs to experiment on have netted to the good or to the bad of the generations we've "engineered" in the pursuit of our own hubris. It may take an entire deconstruction and redesign of education with attendant changes in financial incentives and retraining of educators and administrators to make it right. It will be uncomfortable to look in the mirror and admit to our frailties. But if the Federal Commission on School Safety can help the process along, maybe our schools can be the havens they once were again. Maybe we won’t be such politically correct monsters this time. 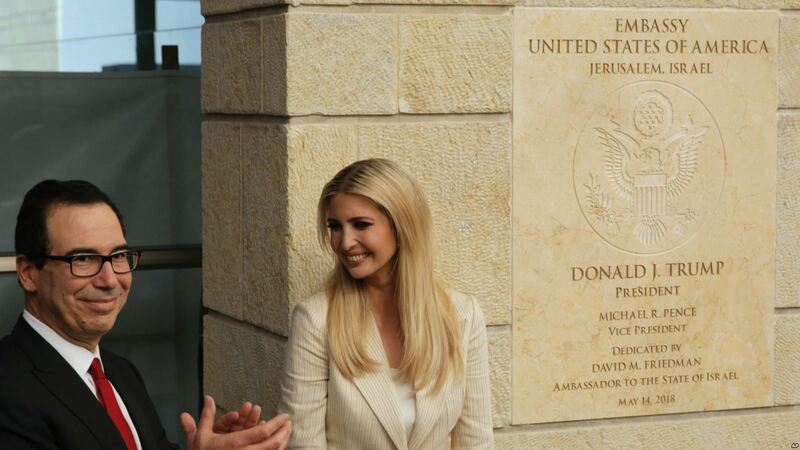 On the same day the United States opens its new embassy in Jerusalem, Hamas sends dozens to die in suicidal waves on the Israeli border with Palestine. Both moves are statements; one strategic, the other desperate. Seemingly at odds, when combined, the Middle East is saying it’s time to move on. In asymmetric stokes, the United States is declaring that the past is the past; that there is no peace in it; that the road ahead is new, unpaved, and uncharted. Hamas, one of the vestiges of that past, screams in agony that the ears in the region have gone deaf to their pleas. The Middle East of the latter half of the 20th Century and dawn of the 21st has been a multi-party matrix of polarities based on volatile combinations of highly charged win-lose scenarios. This is not an area where win-win diplomacy has worked well. It is also not an area peace by force has provided anything more that temporary respite. Mostly, the Middle East’s core competency is grinding human flesh into meat. Both taking life and losing life have become commodities measured in hundreds of thousands of graves. Planet Earth has seen hundreds of thousands of innocent lives taken over the hubris of greed and power. Cousins turn into blood feud enemies. Neighbors on one day turn guns on each other the next. The reasons are many, almost all are pointless. Dreams of influence and power, control of trade and natural resources, ethnic cleansing for the sake of religious intolerance; all it’s done is left too many women who sell flowers and little boys who sell ice cream dead in forgotten ditches or splattered like paint onto the rubble of explosive debris. These examples are not fiction. Diplomacy, the kind that talks but does not act, has done little but keep the killing fields fertile. Creating paths to peace requires choosing winners arbitrarily. Not by promoting self-determination; we already know the warring parties there’s choice is to perpetuate death as their coin of negotiation. Frankly, it’s how they milk the system. No. If we want real peace we need to take endless negotiation out of the equation. The world, or rather the powerful of the world, need to pick the outcomes and the pathways to manage the fate of the losers. The Machiavellian model here is not democracy, it’s the marshaling of resources to impose better outcomes. The analogy that comes to mind is the taming of the American West. The latter 1800’s in America was a period when wars as a tool of statecraft were ending and the rule of law began to eclipse armies of occupation. The tool used for this was the US Circuit Court system of judges and marshals that had the power, in their individually jurisdictions to declare parties legitimate or outlaws; and enforce order under the shield of law accordingly. It eventually turned territories onto states that became self-governing with individually unique qualities; the American West the world knows today. Let’s look at one facet of this puzzle. The clearest case for this ahead is in the country of Syria where stability is probably only possible by sectoring the country into imposed districts. Northwestern Syria, the section held by Bashar al-Assad and this Alawites, is the new East Germany. It’s district judge is Russia. Its problem is the purging of what’s left of al-Qaeda and its various expressions of al Nusra and ISIS. Caught in this crossfire are the non-Alawite democratic factions that used to be part of a more inclusive Syria of a few decades ago but are in constant danger of teetering into the clutches of warlords who might turn the region into another Afghanistan. The conflict metaphor here is the sectarian governance of the Alawite model vs. the heavy-handed Salafist model of al Qaeda. The question for the world is how to enable the district judge to succeed in making sure the Alawite model prevails and northwestern Syria moves past the human rights sins of both Assad and his Islamist foes while seeking the restoration of broader inclusiveness in a post-Assad northwestern Syria. The latter is a challenge because the designated judge, Russia, isn’t exactly the most inclusive or tolerant of players. Southern Syria is the section occupied by the Iranians. This is the westernmost projection of what is called the Shia Crescent, Imam controlled Iran’s dream of regional Middle East dominion. It is the powder keg and flash point of Middle East instability. The inability of Iran to get to the shores of the Mediterranean because the path is blocked to the west by the Israelis has been marked by military posturing and dueling that shows no sign of abating. This is metaphor here is immovable trench warfare. The only actual solutions are for either (a) Iran to abandon its agenda or (b) Israel and Iran to reach a peaceful armistice that allows for constructive economic conditions to emerge. For that, cooler heads, particularly in Iran, need to prevail. This is not presently feasible. 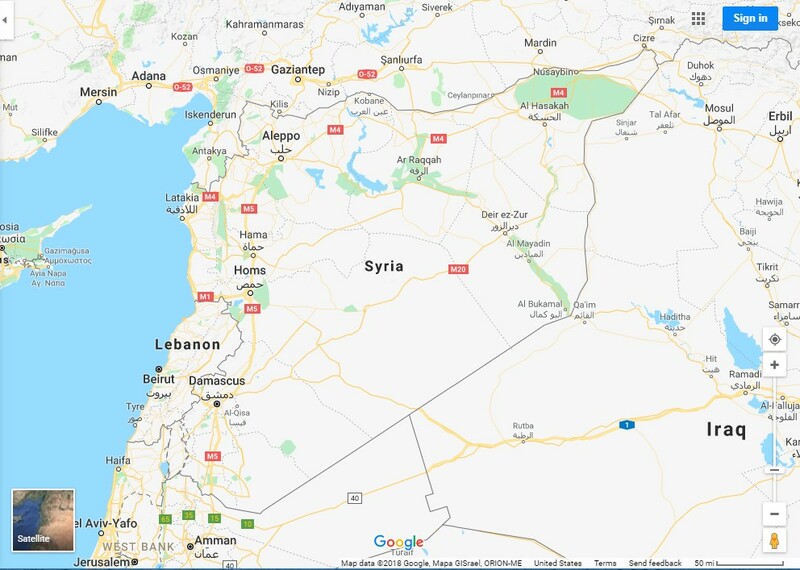 Oddly, the decision of the US to abandon the 2014 Nuclear Treaty with Tehran actually creates a new basis for resolving the southern Syria issue by opening a pathway to tie Tehran’s regional behavior not just in Syria but in the Nineveh Plains of Iraq to a new round of negotiations. The gambit is reinforced by the US overture inviting participation by Saudi Arabia and the Gulf States, who are showing encouraging signs of liberalizing proactively, to help stabilize eastern Syria. The move, in military parlance, closes a salient created by the Iranians during the ISIS period further pushing them to an inevitable negotiated outcome. This is bold move stuff being pushed by cool cucumbers like US president Donald Trump and his team. A second Nobel Peace Prize would be well earned if it works. Eastern Syria is the American sector. This is about as close as it gets to the frontier conditions of the American West of the 1800’s; where the American military occupies and patrols in a role more akin the the U.S. Cavalry of the Wild West. We sit on a powder keg on the knife edge of military governorship. And regionally, this is the most difficult sector to possess. 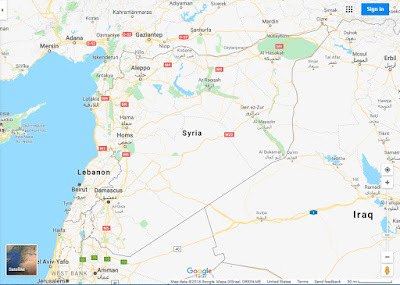 Where western and southern Syria are set piece containments, eastern Syria harbors a flashpoint for a far broader regional breakdown. It’s because of the Kurds. A partner to facilitating America’s occupation agenda, the dream of an independent Kurdistan holds within it a war that would engulf Syria, Turkey and Iraq for a century. It may be ok with the Kurds who see only their hopes with myopic intensity; but everyone else who looks into this abyss sees casualty numbers that would equal if not exceed what the region has already suffered. The US has counseled both patience to the Kurds, difficultly, and accommodation by the sovereign nations within which the Kurds live, with even more difficulty. It will test the United States’ ability to reluctantly manage conflicting party coexistence over a long term yet again. On the plus side, there is probably no other nation on earth whose own history of being forged out of diverse dissonance can ascend. Perhaps that is why God has placed us in that part of the His former Garden of Eden at this point in human history. We do stand a chance at this. The philosophy of “nation building” American-style has been applied in other tumultuous environments with success. The United States, under the command of Douglas MacArthur, used similar methods to stabilize the post-Spanish Empire colony of the Philippine Islands in the early 20th Century. MacArthur, a product of a flowering of other statesmen-generals like Marshall, Eisenhower, and others who saw the world stage as manageable, repeated the formula again in post-Imperial Japan after World War II. The United States, post MacArthur, did the same in a place called South Korea; a country that is about to bear the fruits of America’s sixty-eight (68) years of patience and commitment. Anyone who tries to tell you the USA doesn’t have the ability or skill to play the long game, don’t you believe it. We have, many times. The only times we’ve lost on this planet is when we’ve abandoned and left regions to wallow in their own misery. The vacuum effect of our missing influence has been consistent; slow economic recovery in places strewn with uncleared minefields and, in too many instances, death due to gang warfare between criminal warlords. We’ve learned a little that our choices have consequences, probably not enough. But maybe enough to give the world a few more miracles to remember. I’ll close by noting that I’ve written about his subject in the past. The last time I pointed out that the United States must ponder the long-term implications of our destiny on the world stage was 2003. At the time, we were arguing about the weapons of mass destruction of one Saddam Hussein and debating whether to invade Iraq. I wrote we’d have to have the stomach to stay for at least 75 years to do it right. I recall at that time there was another fellow being quoted as saying similarly pensive things. His name was Donald J. Trump.